Man’s desire to celebrate his appearance through portraiture in order to present individuality and uniqueness remains a relevant theme that continues to define our time, as we currently observe society’s inclination towards vanity, on the one hand, and external approval on the other. The collection of portraits I would like to propose for the present exhibition follows the development and unfolding of this genre from the 16th to 18th century. This exhibition will allow viewers to discover and witness the development of the private portrait, starting with its birth in the second half of the 15th century following a wave of renewed interest in nature, in man himself and in the classical canons of expression described by Roman art. As a result of the renewed attention towards the relationship between man and the cosmos, the 16th century featured a newfound consideration of one’s soul, where artists such as Leonardo, Giorgione e Lorenzo Lotto used painting as an introspective means to investigate the boundless territories of the psyche. 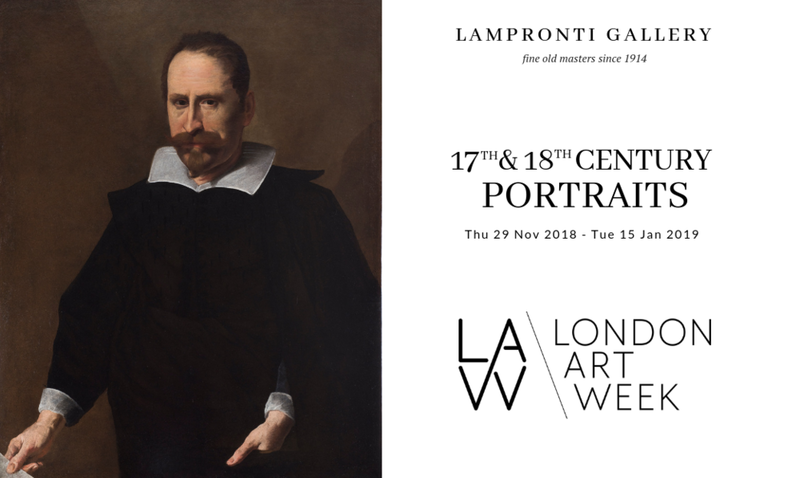 The exhibition opens with the portrait attributed to Giovanni Battista Moroni produced around 1550, where focus is given to the investigation of the subject himself, revealing an incredibly intense and forceful personality. More official portraits, like the one presented here by Santi di Tito, were aimed at celebrating the grandeur and importance of social status and can be studied in parallel to completely distinct pictorial approaches of the time, such as Annibale Carracci’s representation of a male head, a sketch executed on a simple sheet of paper taken from his account book that perfectly exemplifies the innovative genius of the great artist. We are in the 17th century, and painting is starting to move towards the "truth" and the inseparable combination between external and internal realities. A portrait depicting children by the great artist Sofonisba Anguissola and another painting attributed to Bartolomeo Cavarozzi take us into the realm of Caravaggesque influence. These portraits focus on the rendering of universally true human feelings and the immediacy of emotions, consequently portraying subjects as if they were emerging from the dark, capturing their most natural expressions or sudden instinctive reactions to external elements. The exhibition also features a female portrait by Massimo Stazione, an artist whose activity is well documented despite the few remaining examples of his work, making this painting even more precious and rare. Alongside a magnetic male portrait which is still to be attributed, one finds works by Salvator Rosa, Niccolò Cassana, Alessandro Turchi and a splendid portrait of Jacqueline van Caestre attributed to the incredibly young van Dyck. We then dive into the 18th century with two masterpieces by Pompeo Batoni representing Pope Rezzonico and Cardinal Banchieri. The exhibition closes with portraits by Baciccio and Ignaz Unterberger, where one can witness an important evolution characterised by a newfound focus on solemnity and official societal portraits, where subjects were at times taken from drawing rooms and parties and occasionally inserted in pictorial settings reminiscent of the Grand Tour.